COBB Tuning has outdone itself with the COBB 3” Downpipe for the 2010 MazdaSpeed 3,which is a study in engineering design and artistic execution. The COBB 3” Downpipe replaces a very restrictive element in the Mazdaspeed3 exhaust system. Considerable effort was spent designing a flow path with the fewest number of direction changes and minimal degrees of bend in order to eliminate restrictions. 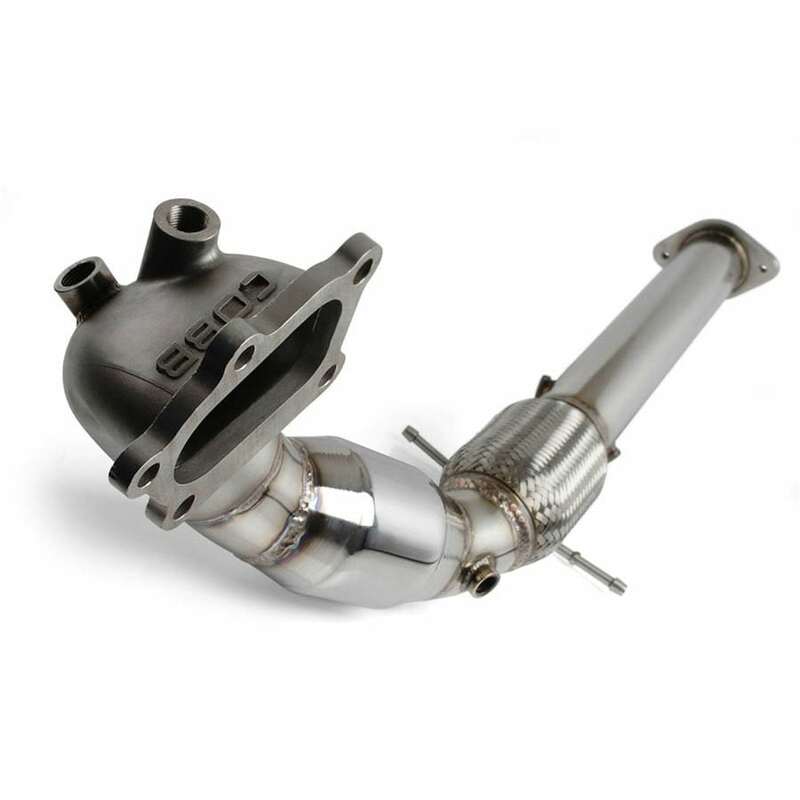 This beautifully fabricated downpipe delivers significantly improved exhaust flow, resulting in faster turbo response time and power gains across the entire rev range, while still protecting the environment with its highly efficient custom catalytic converter. The engineering that went into the COBB 3” Downpipe started with the CAD designed investment-cast turbine outlet, made of 304 stainless steel for enduring corrosion resistance and reduced heat transfer to the engine bay. The shape of the outlet flange makes optimal use of the tight confines of the MS3’s engine bay, smoothly blending turbine outlet and wastegate gases. The outlet flange is configured with two O2 sensor bungs; one to accommodate the stock O2 sensor and another with a pre-installed plug that can be removed to allow an aftermarket wideband O2 sensor or datalogging device with easy engine bay access. A custom spun metal substrate high flow catalytic converter comes next. This one piece 400 grade stainless steel cat has a much higher flow rate and longer lifespan compared to ceramic or “brick” style cats. It also reaches operating temperature faster than other style cats for cleaner cold-start emissions. A third O2 sensor bung is located immediately after the cat to be used by the second OEM O2 sensor. The stainless steel flex section used in the COBB 3“ Downpipe is internally lined (unlike most flex sections) and provides smoother exhaust flow and much longer lifespan for the steel braiding. The placement of this flex section in the factory location (before the first exhaust hangers) is critical in absorbing engine movement and eliminating damaging stresses that would otherwise be applied to the flange, cat, exhaust hangers and chassis. This increases the longevity of the downpipe as well as downstream exhaust components. All tubing used in the fabrication of this downpipe is polished 304 stainless steel for increased corrosion resistance and a mirror-like finish. The 304 stainless steel hangers are cross-welded and well braced to eliminate a point of fatigue that is evident in other aftermarket downpipe designs. The end flange uses the stock donut gasket and factory spring bolts to aid in flex, longevity and proper fitment. This provides an improved seal compared to other methods, as well as reduced noise. An additional benefit is that it makes the COBB 3” Downpipe compatible with any cat-back exhaust that mates to the factory cat section. 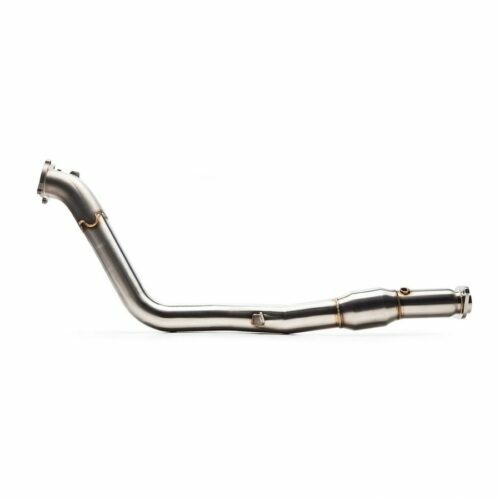 When researching downpipes for your MazdaSpeed3, consider COBB’s intensive engineering, quality of materials, impeccable fabrication and all around versatility. 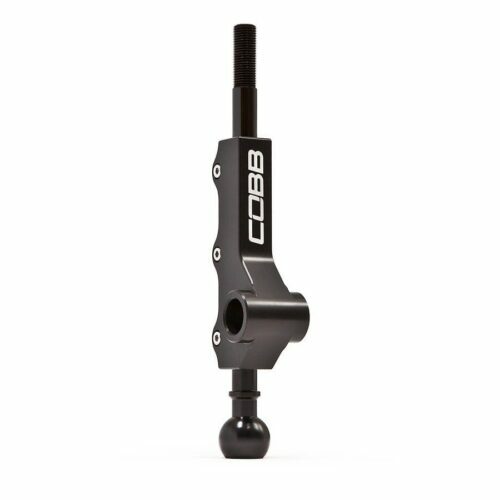 The COBB 3” Downpipe is unmatched in the marketplace! Will this pass emission in Ontario ? This is sold for off-road use only Robin.